The October issue of the bilingual (Bengali/English) webzine Urhalpool is now online. The latest issue includes stories by Mandakranta Sen, Samaresh Majumdar, Nabanita Deb Sen, Alolika Mukherjee, Abul Bashar and others. 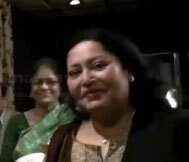 Serials by Sunil Ganguly and Taslima Nasreen are still ongoing. Special attraction would be the interview of Baichung Bhutia and a memoir by Srikanta Acharya. I am sure you’ll enjoy this issue like the previous ones. 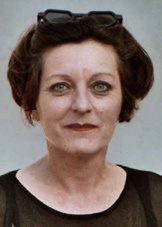 Herta Muller, “who, with the concentration of poetry and the frankness of prose, depicts the landscape of the dispossessed” won the 2009 Nobel Prize in literature. Ms. Müller, 56, emigrated to Germany in 1987 after years of persecution and censorship in Romania. She is the first German writer to win the Nobel award since Günter Grass in 1999. Once again an Indian (or person of Indian origin) wins the Nobel prize. 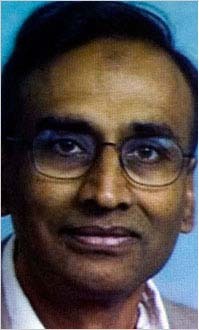 Dr. Venkatraman Ramakrishnan was awarded the 2009 Nobel prize in chemistry for his research on ribosomes. It was in 1930, another Raman, Dr. Chandrashekhar Venkata Raman (popularly known as C. V. Raman) won the Nobel prize in Physics. Dr. Venkataraman (of the MRC Laboratory of Molecular Biology in Cambridge, England) won the award along with Dr. Thomas A. Steitz of Yale University, and Dr. Ada E. Yonath of the Weizmann Institute of Science in Rehovot, Israel. Dr. Venkatraman was born in Chidambaram, Tamil Nadu, India, in 1952 and obtained his Ph.D. at Ohio University, and holds American citizenship. New Jersey based Que Zara Productions has announced that they are hosting a concert which will showcase the melodies of the 50s era down to the jingles of the 90s. The show is aptly called B2B Legends or Burman to Burman (S.D.Burman to R.D.Burman), which will be led by original yesteryear super musicians like Ajit Pachegaokar (electric and acoustic guitar) and Inder Singh (I.P.Singh) on the piano/keyboards. They will be supported by nine other famous musicians, including Sanjay Shah (keyboards and vocals), Kumar Majmudar (accordion), Atish Mitra (bass guitar), Sripad Jail (dholak, tabla), Deepak Gundani (rhythm), Pappoo (octopad), Harish B (mandolin), Kalpesh Patel (drums) and Ramesh Maraj (saxophone) of IndiaSax. The show will focus on the genius instrumentation behind the melodies and will feature vocal renditions from Shweta Ranade and Abhijit Pachegaokar. Celebrated talent Dan Skye (formerly with Bon Jovi) will provide the sound engineering for the show. Additionally, it will feature melodies of other legendary music composers from Khaiyyam, Laxmikant – Pyarelal, Kalyanji Anandji to disco king Bappi Lahiri. Que Zara has plans to replicate the show in the tri-state area in future months. Que Zara has ambitious plans to bring other unique blockbuster shows to the tri-state area. If you like any article, please Digg it by clicking the Digg button on the top right corner. Digg, kind of, gives a popularity rating to an article and helps bring in more readers. You may also share the article to your friends on Facebook, email, Reddit or a bunch or other social bookmarking sites by clicking one of the buttons below the article.